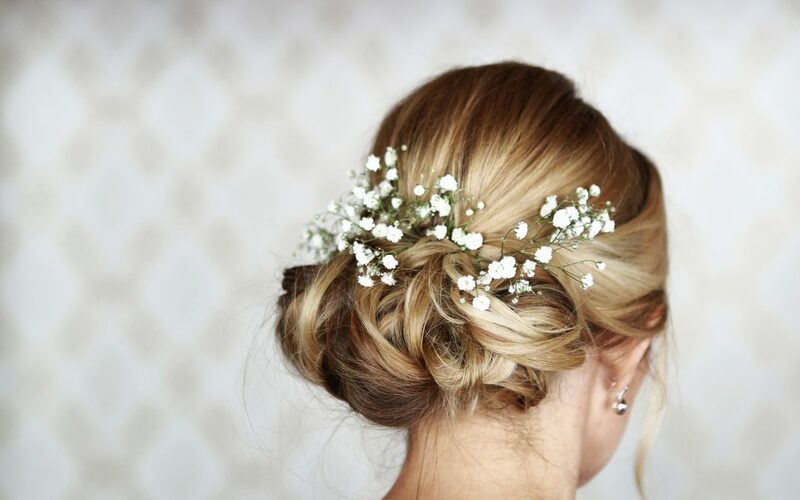 Bridal Hair needs to stand out from your everyday hair. It is different from an occasion hair as it needs to be that little bit more special. As the bride, you can spend an hour having your hair styled, so why not achieve the most out of your look rather than having a style that you could have done yourself in the mirror. Bridal hair goes through a lot, and so needs to withstand the duration of the whole wedding day. It may need to be worn in windy conditions outside and may need to survive a lot of dancing, and as such, the way that the hair is held in place will need to be done professionally so that it remains secure for you. Bridal hair will be pictured from every angle by your photographer, so consider all of the sides and what it will appear like from every angle. Also consider how your bridal hair frames your face. You want the most flattering framing around your face and your hair should do this for you. So find out at your trial if you suit having some softer, flowing hair around the face or if you suit it gripped back loosely, or indeed if you feel more comfortable and suit it pulled back in a slicker style.